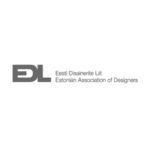 Association of Estonian designers want to protect the Estonian cultural identity. One of the crucial factors in preserving a unified cultural identity has been the Estonian language. Estonian designers value acquiring international experience through connections with the outside world. Estonia is grateful to its Nordic neighbours Finland and Denmark, which have helped to develop an awareness of design in Estonia. Despite the fact that designers familiarise themselves with contemporary developments and styles, a design identity will be influenced by idiosyncrasies of the cultural heritage and economy of the country. Ascetic, oriented towards basic needs and functions, a smart aesthetic, not focusing on luxury – these are the intrinsic qualities of Estonian design. National identity has always been a political question for Estonians and that has been the driving force behind many consciously but also unconsciously launched defence mechanisms. Estonian art, especially applied art, has managed to preserve a certain detachment from politics. Nevertheless, during the occupation, creative people used every opportunity available to protest against the official ideology through renewing artistic expressions.